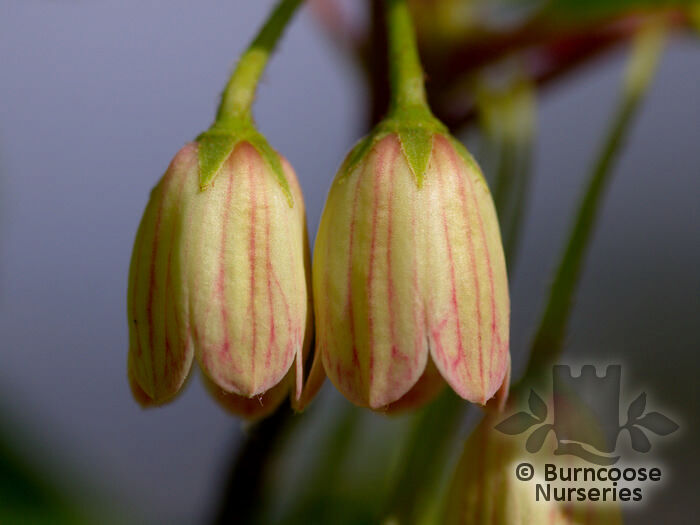 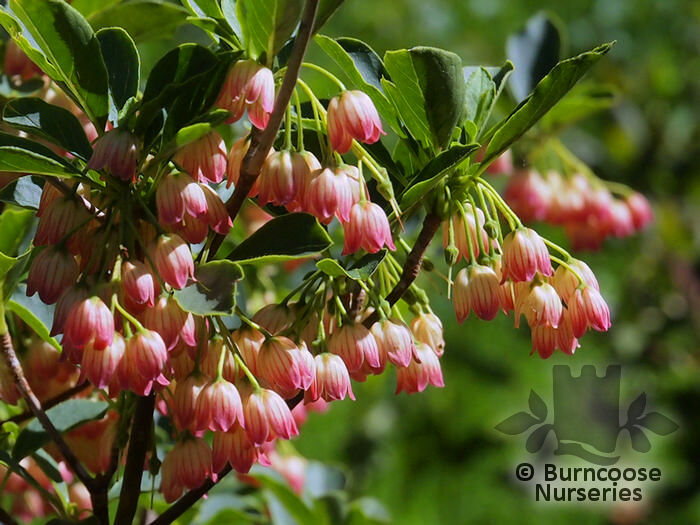 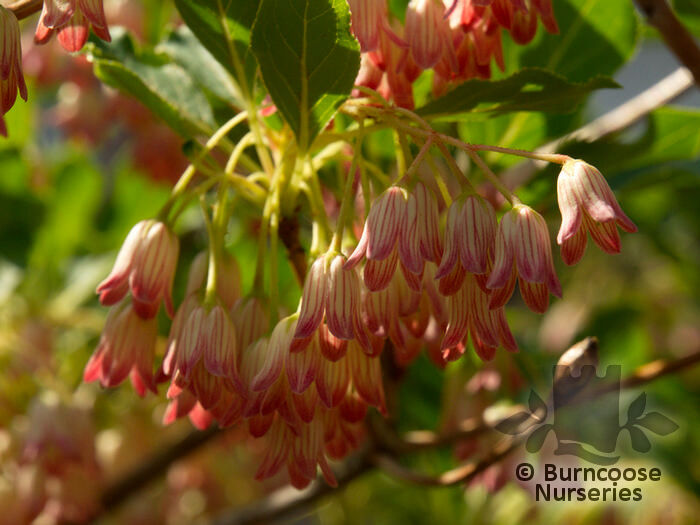 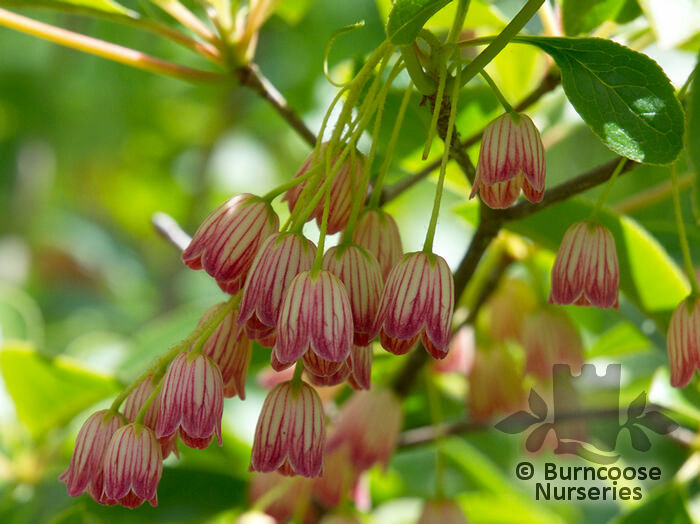 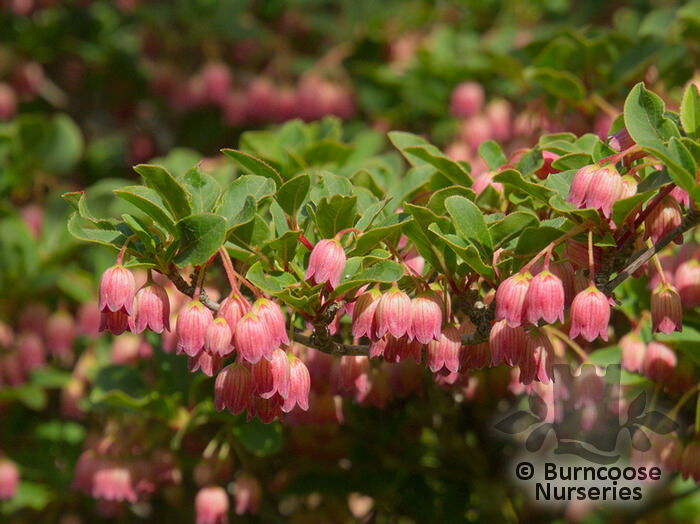 Clusters of cream, through pink to red bells in spring and foliage which colours various shades of red in autumn. 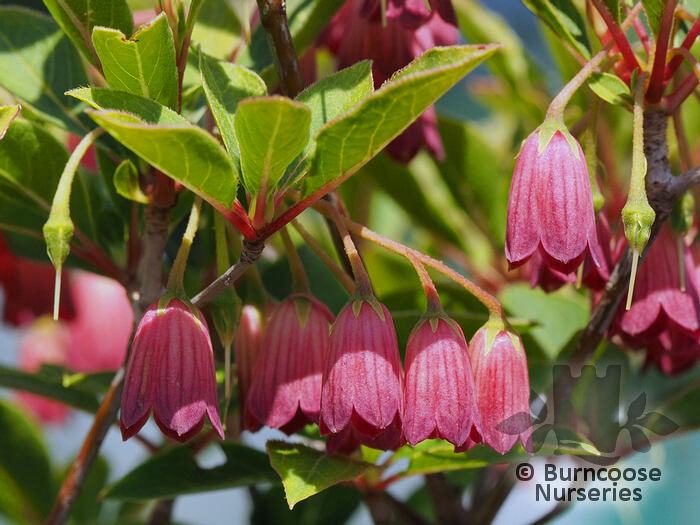 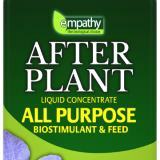 Additional Features	- Good to know - grown for their urn- or bell-shaped flowers and foliage which turns various shades of red in autumn. 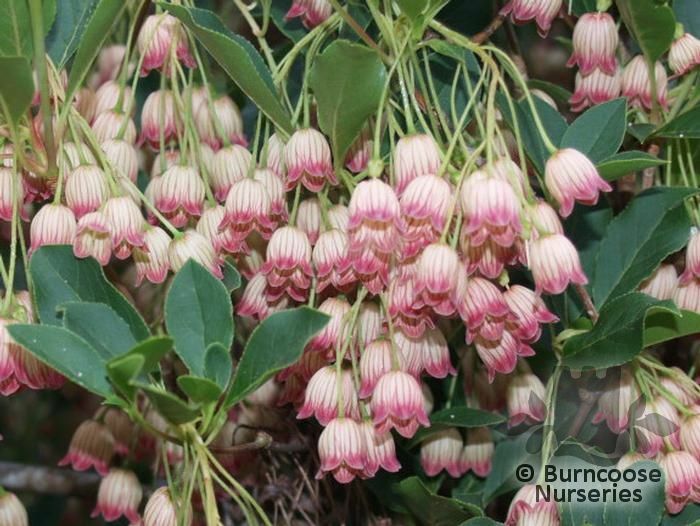 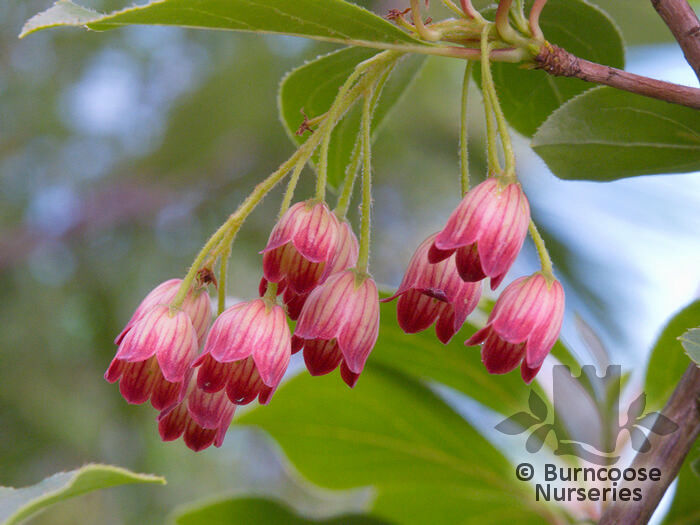 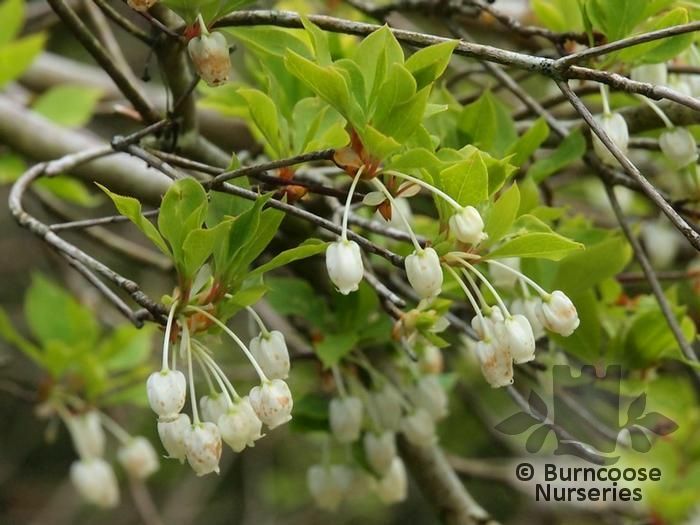 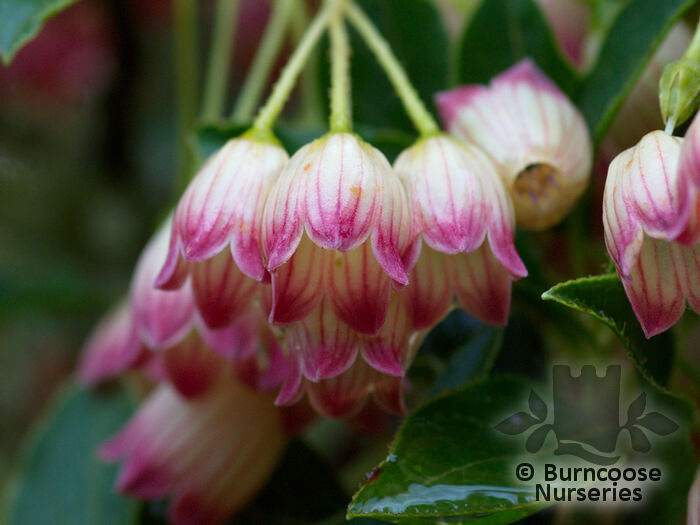 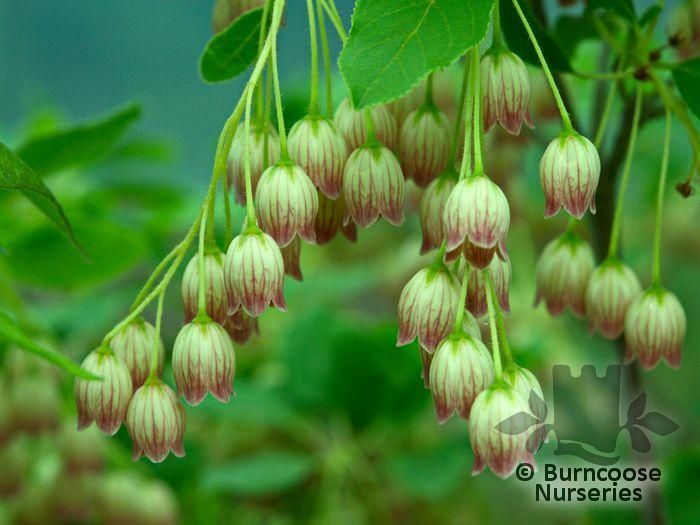 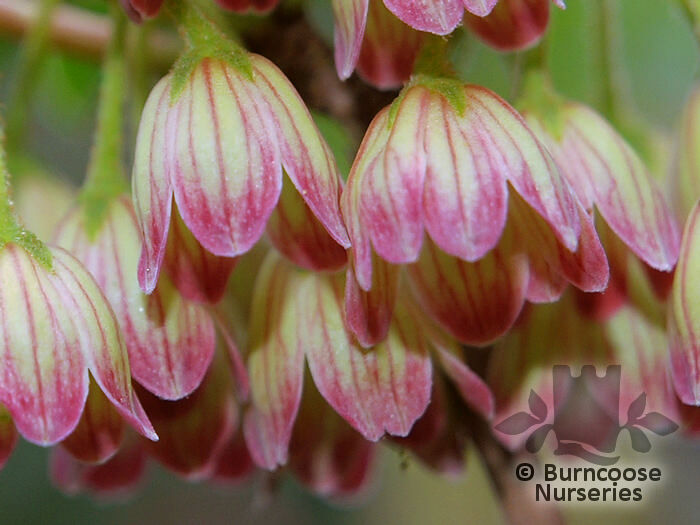 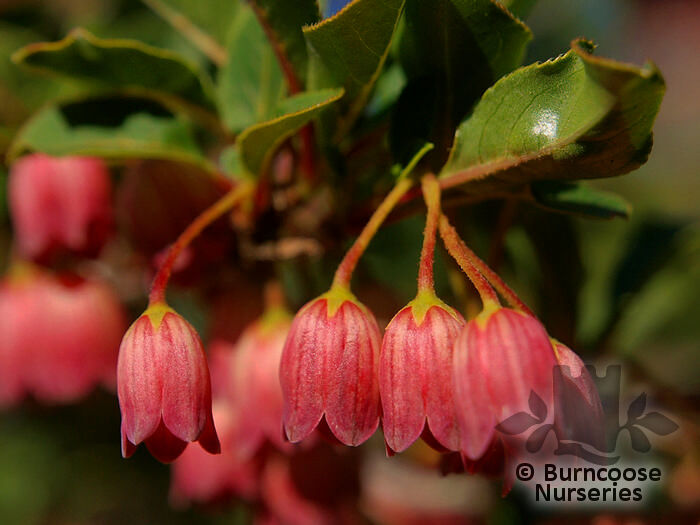 Commonly known as: Red vein enkianthus. 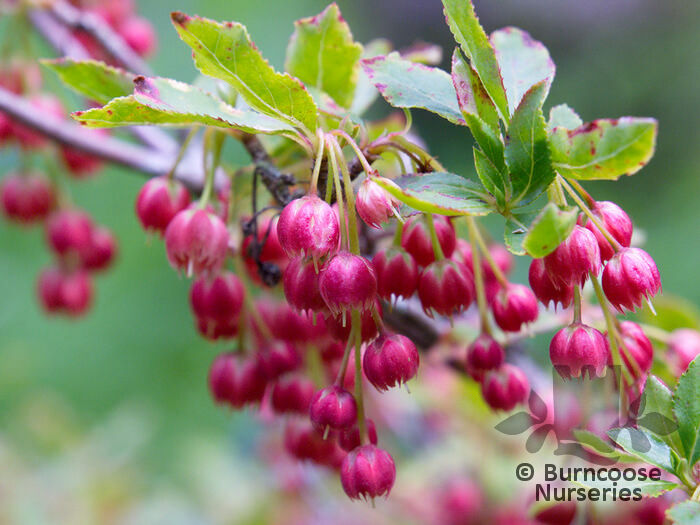 Deepest red flowers and deep reddish-purple foliage in autumn.